Even index cards scrawled with chicken scratch are better. Too often, I would collect ideas and have them sit there. Ideas don’t do anything sitting around. 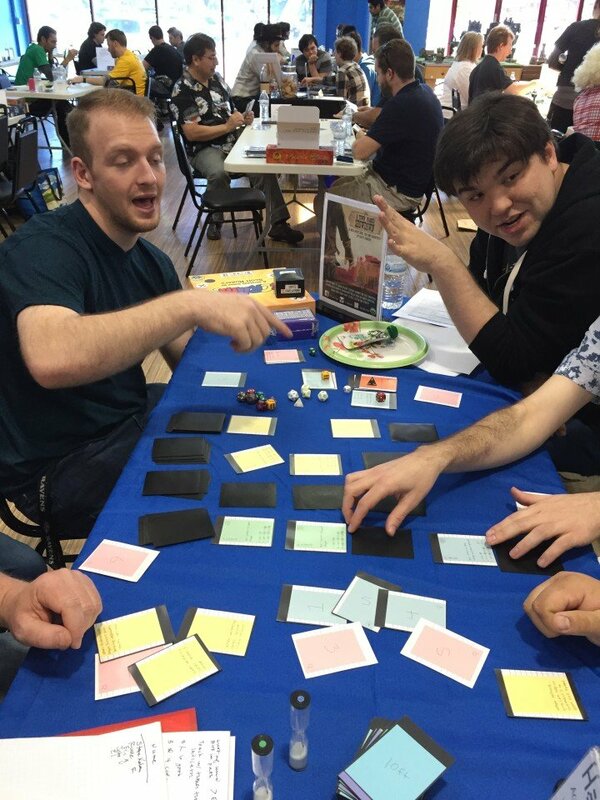 You can read more about how I got started with designing tabletop games. I’ve experienced a lot in the tabletop game industry over the years, but if there’s one thing I learned along the way it’s that having one prototype is better than not having one at all. A prototype is an idea realized. It’s taking an idea or collection of ideas and turning it into something that people can interact with. There’s magic in this interaction. Time and time again, what I’ve thought was a good idea for a game has evolved. Playing, not just thinking about a game, makes games better. Hackronyms, for instance was brutal and awkward to play at first. Sentences were way too long and convoluted. The game was a chore to play and players with limited vocabulary wouldn’t stand a winning chance. I never would have known this about Hackronyms simply by looking at ideas on a sheet of paper. 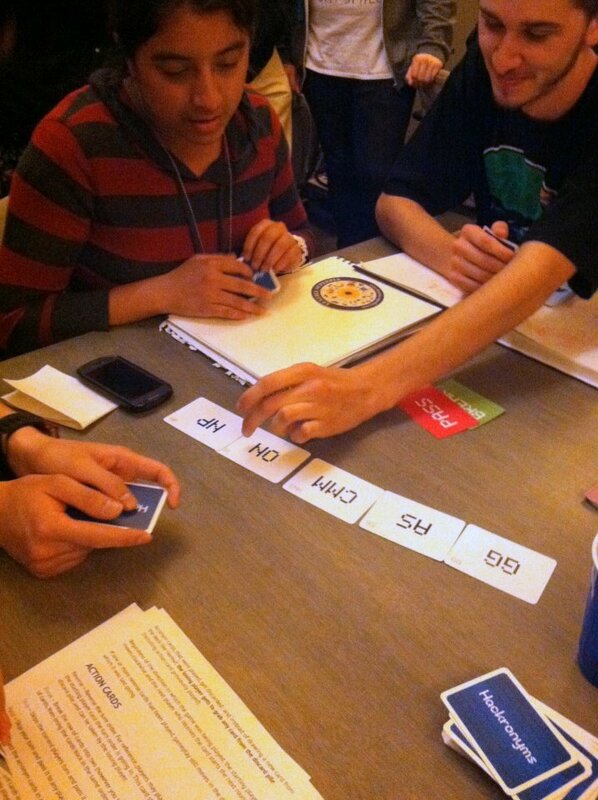 Being able to play (via a prototype) allows your game to evolve and become the game you want it to be. Your game, most likely, won’t come out as you imagine it the first time. Iterating on a game, playing it with strangers, learning their experiences—all of these things and more will make your game the game you want it to be. The first step though, is to create that one prototype. PS: I’ll be running a panel at PAX West exploring how to turn an idea for a board game into reality. Come join and say hi if you’re around!